100% SATISFACTION GUARANTEED: 2-Year Manufacturers Limited Warranty. 365 Day Returns or Exchanges to Del Mar Fans & Lighting. 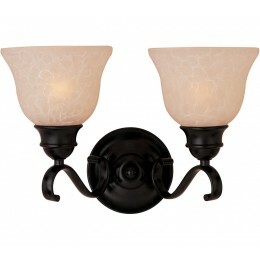 Linda EE is a beautiful transitional energy saving collection with long flowing arms. The warm Wilshire glass perfectly complements the Oil Rubbed Bronze finish. Fixtures include energy efficient, long lasting and low maintenance compact fluorescent bulbs, with select fixtures being Energy Star certified. 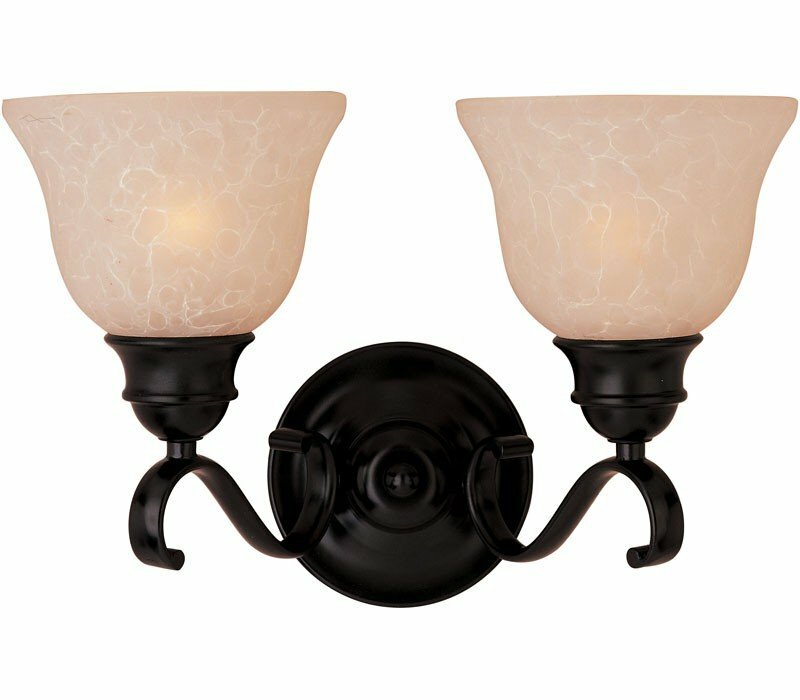 The Maxim 85808WSOI Linda EE collection Vanity Wall Lighting in Oil Rubbed Bronze uses Fluorescent light output and brings Decorative style. The total wattage is 26 and the voltage is 120 volts. The Maxim Lighting 85808WSOI requires 2 bulbs (included). Additional Information: Shade-Wilshire Glass.